For purposes of accuracy, speed, and clarity in radio telephone communications for controlling aircraft, a vocabulary, procedure, and technique have been developed. Correct R/T is the only basis for efficient voice communications, and its importance cannot be overemphasized. 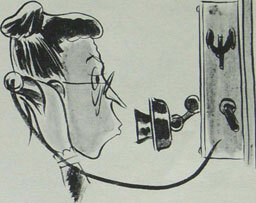 All officers and men whose duties involve the use of radio-telephone must know and adhere to the standard procedure. The CIC officers and controllers must get their messages across and at the same time instill confidence in those under their control. Clear positive transmissions are mandatory. Adherence to a few simple rules will obviate many communication problems. 1. Keep your voice natural. This not only gives the impression of calmness but is usually more readily'uhderstandable. 2. Know what you are going to say before you speak, then speak with authority. 4. Listen before you speak and make sure that no one else is speaking on the net at the moment. Wait 3 or 4 seconds after a pilot being controlled by another controller has completed reading back an order. The other controller may want to correct the transmission. 5. Above everything else, keep your transmissions to a minimum. Brevity is the essence of R/T procedure. R/T procedure has been built up with the greatest of care from experience. The code has been standardized as much as possible, and it should be memorized and strictly adhered to for all communications between ships and aircraft. The good controller and the good CIC officer should be so familiar with the R/T code that they think in terms of R/T when controlling in the same manner that a skilled linguist can think without hesitation in another language. Unfamiliarity with the code and careless R/T usually result in slipshod control. 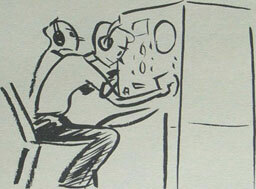 Component parts of any radio message in all aircraft control operations will always consist of three parts--the call, the text, and the ending. The original call of a radio message consists of the call sign of the receiving station followed by the call sign of the transmitting station. The following call-up procedure will be used on initial transmissions. First the call sign of station or person called; then the phrase "this is" following by the call sign of the station or person calling. Example: Mohawk One, this is Mohawk...."
The use of "Hello" preceding the call sign is optional. It has the advantage of alerting the net and helping to make sure that the call sign of the addressee is not clipped off. On a crowded net or when brevity is desired, "Hello" should not be used. Example: "Hello Mohawk One, this is Mohawk...."
Example: "This is Mohawk One ..."
Figure 31.--Don'ts in R/T procedure. series) and phrased in the correct manner. The text is always followed by either the word "over" or the word "out." "Over" means "my transmission is ended and I expect a response from you." "Out" means "this transmission is ended and no response is expected." The words "over" and "out" are just as important as the rest of the transmission and must be used correctly. In an air control order, the vector, speed, and angels are given in that order. Example: "Mohawk One, this is Mohawk. Vector three-one-zero--Buster--Angels ten. Over." In acknowledging such transmissions the order is always read back, preceded by "wilco" and followed by "out." Example: "This is Mohawk One, Wilco. Vector three-one-zero--Buster--Angels ten. Out." There are certain phrases for acknowledging or clarifying transmissions which, although covered later in the R/T vocabulary, need fuller explanation. "Roger" means "I have received your last transmission satisfactorily." It does not mean "affirmative" and should not be so used. It should be used to receipt a transmission. "Wilco" means "I have received your last message, understand it, and will comply." This proword can only be used on the authority of the Commander or authority to whom the original message is addressed. "Say again" means "Repeat all of your last transmission." If followed by identification data, it means "Repeat ---------- (portion indicated)." "That is correct" means "You have received my last transmission correctly." "Affirmative" and "negative" are used for clarity instead of "yes" and "no." All ships, aircraft, and shore stations are assigned radio voice calls (JANAP 119) for use in air control, tactical maneuvers, and communications. Fighter divisions on combat air patrol assume the call of their parent carrier followed by a number designating the division. 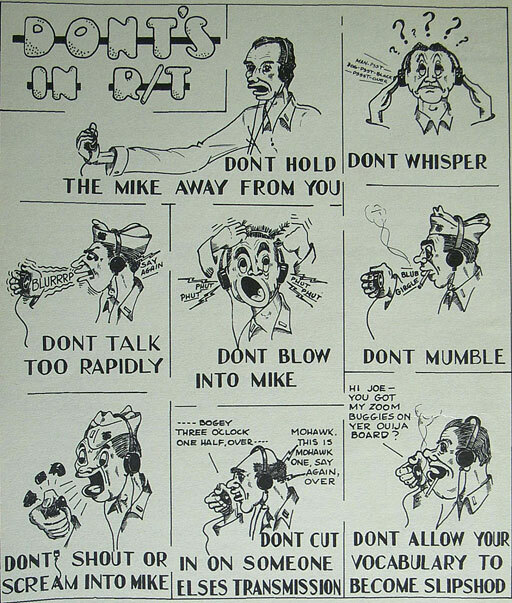 Thus the first fighter division from an aircraft carrier whose radio call is "Mohawk" would have the call "Mohawk One," the second division would be "Mohawk Two," etc. The fighter divisions are further broken down into sections or individual aircraft by adding the number of that aircraft in the division to the division's call. Thus the call for the second fighter in "Mohawk Five" would be "Mohawk Five-Two," and the fighter's call for the third plane in the fifth division would be "Mohawk Five-Three." "Mohawk One, this is Mohawk ... (followed by message) ... Over." Since numbers are inclined to be indistinct on radio-telephone, and since the numbers used may often be of immeasurable importance, the following aids in pronunciation will clarify their usage on the air. The following explanation of the Joint Air Warning and Air Defense Code (JANAP 142 series) contains examples of the use of many of the words and phrases. It supplements the brief description of the meanings given in the alphabetical list and should be studied in connection therewith. Also included are words and phrases which currently are of common usage in the Fleet for newer phases of aircraft control. They are used in conjunction with the code. The terms are grouped below under heads such as IDENTIFICATION, SPEEDS, ALTITUDES, HOMING, etc. In night, high speed, and visual control, where brevity is of extreme importance, it must be borne in mind that abbreviations will be used more frequently than in normal day control, and call signs may even be dropped at times. For example, in normal day control, the transmission would be: "Mohawk One, this is Mohawk," whereas in night control this may be abbreviated to "One ..." In visual control, if no other planes are operating on the same frequency, call signs may be dropped completely. Also in visual control, all transmissions from the air controller should usually be followed by "out" rather than "over," since compliance or noncompliance with any orders can be observed directly and no "wilco" is needed from the pilot. Saunter--Fly at best endurance. Liner--Fly at speed giving maximum cruising range. Buster--Fly at maximum continuous speed (power). Speed--Given as an order to own fighters as to what indicated air speed to use. Example: "One, speed two hundred. Over." The word "speed" should only be used in referring to an indicated air speed to be flown by a friendly fighter and should not be used in referring to bogey's speed (compare with "bogey indicating.") Note that in referring to speed, it is given as "Two Hundred" or "one-eighty,"' and NOT as "two-zero-zero" or "one-eight-zero." Bogey Indicating--Bogey's indicated Air Speed. Example: "Mohawk One, bogey indicating two hundred, over." The words, "bogey indicating" are used in referring to an estimate of the indicated air speed flown by the enemy aircraft and NOT that of the friendly fighter which is attempting the interception. Throttle Back--Decrease speed ----- knots. Example: "Mohawk One, speed up (throttle back) ten (twenty or thirty), over." This order should not be given for an increase (decrease) in excess of thirty knots and also should not be used more than once consecutively. Planes under visual control should fly at sustained combat speed. If any special orders concerning speed are necessary, the normal vocabulary may be used. Altitude--Altitude of aircraft, in feet. This word is used primarily to give information on the altitude of the enemy plane(s) which are being intercepted. Example: "Mohawk One, bogey altitude seventy-five hundred. Out." The word may also be used to give information on altitude of friendly planes. Angels--Altitude in thousands of feet. This word is used normally with friendly aircraft only. Example: "Hello, Mohawk One, this is Mohawk, Angels seven point five. Over." This constituted an order to Mohawk One to fly at 7,500 feet. Below--Aircraft below you (information only). Above--Aircraft above you (information only). The above terms are intended to be used in giving information with respect to other planes and do NOT constitute orders. Example: "Mohawk One, bogey eleven o'clock above, twelve (miles). Over." The twelve miles in the foregoing case means twelve miles away NOT up or down twelve. At Angels--Am at and holding "Angels" ordered. The words "At Angels" are used by pilots in reporting that they have reached the altitude ("Angels") to which they were ordered. Example: "At angels fifteen. Out." The word "level" is used by the Controller to tell the pilot that the bogey is at the same height. Example: "One, bogey level. Out." On the Deck--Fly at minimum altitude (may be used to indicate target is at minimum altitude or at sea level). Vector Port--Alter heading to magnetic heading indicated, turning to port (left). This may be abbreviated to "Port." Vector Starboard--Alter heading to magnetic heading indicated, turning to starboard (right). This may be abbreviated to "Starboard." These orders are used when one knows the heading of the fighter and wishes to control the direction of his turn. The turn is normally made at a standard rate. The use of these orders permits the pilot to start his turn immediately without having to figure out which way he should make the turn. Example: "Hello Mohawk One, this is Mohawk. Vector starboard three-zero-zero. Over." Vector Hard Port--Alter heading to magnetic heading indicated turning left in a tight turn. Vector Hard Starboard--Alter heading to magnetic heading indicated, turning right in a tight turn. These orders are used when a turn of shorter radius is desired. Example: "Mohawk, One, Vector hard port two-seven-zero. Over". These orders may be abbreviated to "Hard Port ..." or "Hard Starboard ...". other than the controlling base. Example; "One, Steer one-three-five for Hotshot. Over." This order should be used only when giving planes vectors to a base or station. At all other times, the word "vector" is used instead. For example, planes are vectored to an interception, vectored back to an orbit, but are given "Steer" when returning to a base. 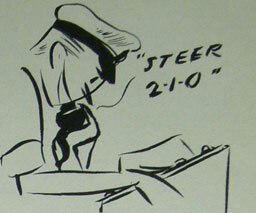 The word "Steer" is used to answer "Request homing." Detach--Detach your unit(s) from the patrol or mission. This order makes specific what one or more divisions in a large flight should do. It is used by controller to make certain what is the disposition of all his units. Check Port--Alter heading--degrees to port (left) then resume original heading. Check Starboard--Alter heading-degrees to starboard (right) then resume original heading. These orders are used to assist the night fighter in picking up a bogey on his A. I. radar. They make him turn his plane through a number of degrees and then, immediately, resume the original heading, giving his A. I. radar a chance to "sweep." It would not normally be used with a turn of more than thirty degrees. Example: "One, check port (starboard) thirty. Over." Continue Port--Continue turning port (left) at present rate of turn to heading indicated. Continue Starboard--Continue turning starboard (right) at present rate of turn to heading indicated. -These orders are used where a plane is already in a turn and it is desired to have him continue the turn farther than already indicated. Example: If a plane was turning port to two-seven-zero, and it was desired to have him continue his turn to two-one-zero, this would be done as follows: "Mohawk One, continue port two-one-zero. Over." Hard Port--Alter heading to magnetic heading indicated, turning left in a tight turn. See "Vector Hard Port". Hard Starboard--Alter heading to magnetic heading indicated turning right in a tight turn. See "Vector Hard Starboard". When this order is used the tightest possible turn is usually desired. Tighten Turn--Tighten rate of turn to maximum. This order is used when it is desired to have the plane turn faster than was originally intended. Ease Turn--Ease rate of turn. This order is used when it is desired to have the plane turn slower than was originally intended. Port--Alter heading to magnetic heading indicated, turning left. Starboard--Alter heading to magnetic heading indicated, turning right. Normally these turns are made at a standard rate. These orders are used as abbreviations for "Vector Port" and "Vector Starboard". 'Example: "One, Starboard one-three-zero. Over" meaning to "vector one-three-zero, turning to starboard in a standard rate turn. Right--Alter heading to right by indicated number of degrees. Left--Alter heading to left by indicated number of degrees. These orders are used when it is desired to vector the aircraft through a small relative course change. It is used primarily during the final stages of a controlled intercept. Example: "One, Left twenty. Out". Not more than two relative course changes should be given consecutively. These orders would not normally be used with turns of more than thirty degrees. Steady--Am on prescribed heading. This is used by the pilot to report when he has gotten onto a new heading. Example: "Steady two-seven-zero. Out." It may also be used to order the pilot to straighten out immediately on his present heading. Bogey Heading--Bogey's magnetic heading. This is used for information only to let the pilot know the magnetic heading on which the bogey is flying. Example: "One, bogey heading three-four-zero. Over." number which consists of two digits to indicate a change in heading relative to the magnetic heading being flown. Bogey--Unidentified aircraft (implies, "Investigate with caution, may be friendly"). Jet--Jet propelled aircraft. This word is used as a prefix to further explain any standard type of aircraft. For example: "jet bogey", "jet rats", etc. Missile--Guided missile, including pilotless aircraft. Rats--Fighter aircraft identified as enemy. Snoopers--Low shadower aircraft (below 2,000 feet). Pillow--Visibility in miles. Blanket--Amount of cloud coverage in tenths. Quilt--Top of cloud layer given in thousands of feet above sea level. Mattress--Base of cloud layer given in thousands of feet above sea level. The elements of weather information are listed in the above order so as to conform to the order in which they should be reported by a pilot. 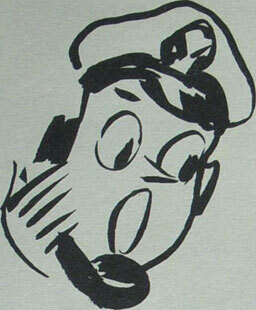 Popeye--Am flying in cloud or area of reduced visibility. This term is used to inform the controller that his fighters are flying in a cloud and constitutes a suggestion that their angels be changed. B--Below or base of cloud in thousands of feet. If below one thousand feet use hundreds of feet but add the word "hundred." O--Over or top of cloud level in thousands of feet. If unknown use the word "unknown". If there is more than one cloud layer report the upper immediately following the lower, e.g., "two, twelve, seventeen, twenty-five". W--Wind (8 points, N, NE, E, SE, S, SW, W, NW) plus the velocity in knots. When wind is missing; omit, or use the word "unknown". W--Weather--General description of weather in plain language such as clear, partly coludy, cloudy, overcast, light, moderate or heavy rain, mist, haze, thunderstorm, and distant lighting. Amplification of the weather should be made at the end of the report under "E". A--Amount of clouds, in tenths. V--Visibility in miles. Use a fraction if less than one mile. E--Extra phenomena of significance such as turbulence, icing, heavy sea or swell, and description of front. This is an elaboration of the report which includes anything of interest in plain and concise language. The standard Carrier-Weather Code is the long form weather report, "Bowwave". Inasmuch as this report under certain conditions, may be difficult to make and may clutter up voice circuits in use, a short form weather report "VATB", has been provided and may be used as conditions warrant. Normally, the weather report will be sent by the division leader with the test of communications as soon as aircraft are on station. Weather information may be sent at any time by the pilot, or the controller may ask for it at any time. The letters in the code word "BOWWAVE" are used to determine the order of reporting weather information. If any code letter is omitted the word "Unknown" will be substituted. Example: "Mohawk, One, Report Bowwave. Over." "Mohawk, this is Mohawk One Bowwave two-twelve-Northeast twenty-- haze--ten--four--icing in high cloud layer, Over." A--Amount of clouds in tenths (Blanket). T--Top of cloud layer in thousands of feet (Quilt). This weather code is used by carrier pilots and controllers when it is desired to quickly report or obtain a brief description of the weather. (See explanation of "BOWWAVE"). The reply to "Report Weather" is a series of four numbers. An unknown item is answered by "zero". Example: "Mohawk One, report weather. Over." "Mohawk, this is Mohawk One, ten-six-zero-thirteen. Over." When the pilot originates a short form weather report he should preface this report with the word "Weather". Example: "Mohawk, this is Mohawk One, Weather ten-six-eight-seven. Over." If there is more than one cloud layer, the report should so indicate. Example: "Mohawk. This is Mohawk One. Weather ten-six-eight-seven, also two-seventeen-fifteen. Over." Oranges Sweet--Weather is suitable for the mission on which the aircraft has been dispatched, in the area where the mission will be carried out or en route to that area. Oranges Sour--Weather is unsuitable for the mission on which the aircraft has been dispatched in the area where the mission will be carried out or en route to that area. Fuel--Amount of fuel remaining. Fuel that remains should be reported in hundreds of pounds, in gallons, or in minutes, as applicable. Where there is a chance of misunderstanding, either "pounds", "gallons", or "minutes" should be specified. Normally the controller will read back to the pilot his fuel report. Example: "One, understand fuel twenty-one pounds. Out." Away--Aircraft .is flying away from controlling station or ship. Towards--Aircraft is flying towards controlling station or ship. Freddie--Air control ship or station. Freddie Indicating--Am identifying myself as air control ship or station by making puffs of smoke and/or some other prearranged signal. O'Clock--Aircraft at clock-code sector indicated. Example: "Mohawk One, thisris Mohawk. Many bogies eleven o'clock, fifteen. Over." Clock code is used by either controller or pilot in reporting the position and range of other aircraft relative to fighter planes, with twelve o'clock being dead ahead, six o'clock dead astern, etc. In the majority of cases, the pilot will be concerned with clock-code primarily in making a tallyho report. Clock code is usually used when fighters are within twenty miles of target. "Ahead" followed by range is used at all other times. Pigeons--Magnetic bearing and distance of controlling unit from friendly aircraft. (Information only.) Note: "Pigeons" does not necessarily imply "home." When the word "Pigeons" is followed by the call sign of some other station or point, it means the magnetic bearing and distance of that designated station or geographic point from friendly aircraft. This transmission is used when it is desired to inform the pilot of his position with relation to a point other than the controlling station. As an example of the usefulness of this transmission: a friendly plane may be running low on fuel and receive a vector which takes him away from a picket destroyei which is controlling him, yet in the direction of a carrier on which he may land in case the pilot finds it necessary to do so prior to returning to his "FREDDIE". Example: "Mohawk One, pigeons BOLO, one-eight-three, eighty-two. Out." In this example BOLO is the call sign of a station other than the station controlling the aircraft. See You--Unit called in sight. This implies a visual contact. Splashed--Enemy aircraft shot down, followed by number and type. Grand Slam--All enemy aircraft originally sighted have been shot down (with a number indicates number shot down). The word "splashed" is used to report the number of enemy planes shot down. Example: "Mohawk, this is Mohawk One. Splashed three Hawks. Over." The term "grand slam" should not be used unless all aircraft (enemy) originally sighted have been shot down. Example: "Mohawk, this is Mohawk One. Grand Slam fifteen hawks. Over." Tallyho--Aircraft sighted, presumably the aircraft I have been directed to intercept. (Note: The controller should immediately advise the pilot as to whether the aircraft sighted are the aircraft to be intercepted.) The word "Tallyho" should be followed by the call of the reporting plane, the clock-code position of the bogey, the distance of the bogey, the number of bogeys, and their height. The above information constitutes the initial Tallyho report. As soon as further information is available an amplifying report giving the identity, type of planes, and heading should be made to the controller. Example: "Tallyho, this is Mohawk One, four o'clock, five, three bogeys--ten thousand, over." Touch--In touch on homing beacon. This transmission is used by fighter plane to indicate that he has picked up either a radio or radar homing beacon. Example: "Mohawk, this is Mohawk One. Touch on HAYRAKE. Over," or, "Mohawk, this is Mohawk One. Touch on MOTHER. Over." aircraft called. Example: "Mohawk One, this is Mohawk. What state. Over." The answer is the lowest figure in the division or flight as to fuel and ammunition. "Mohawk, this is Mohawk One. Fuel ninety-five, ammo-plus over." This should be repeated back by Mohawk as a check. What Luck--What has been the result of your assigned mission. Center--Center of unit or indicated part of unit. Van--Front of unit or indicated part of unit Rear--Rear of unit or indicated part of unit. Anchor(ed)--Orbit (Am orbiting) a visible point. The orbit point should be specified: e.g., "Mohawk One, this is Mohawk, Anchor Point ABLE. Over." Base--Home airfield or home carrier. Orbit--Circle and search. Limit orbit diameter to smallest practicable for type aircraft. Orbit Port--(Left) Circle and search to port (left). Orbit Starboard--(Right) Circle and search to starboard (right). Orbit Figure Eight--Make figure of eight and search. May be used also, "Orbit figure eight port (left)"; "Orbit figure eight starboard (right)". Over to Snap--You are to be directed visually. Fly at sustained combat speed when on vector. All turns and movements are to be done as fast as possible. Acknowledgement of orders is not required. When confusion cannot arise, call signs will not be used. Pancake Ammo--Returning short of ammunition. Wish to land. Pancake Fuel--Returning short of fuel. Wish to land. Pancake Hurt--Returning wounded or damaged. Wish to land. Resume--Resume last patrol ordered. Example: "Mohawk One, Resume. Over." Request Homing--Request magnetic course to steer to reach controlling station or some other designated station. Acknowledge--Let me know that you have received and understood this message. Affirmative--Yes, correct. Do not use "Roger" in answer to a question. Correction--An error has been made in this transmission (or message indicated). The correct version is-Example: If a pilot has been ordered to "vector two-seven-zero" and the controller meant to give him a vector of one-seven-zero, the transmission would be "Hello Mohawk One, this, is Mohawk. Correction-- vector one-seven-zero. Over." I Say Again--I will repeat. Negat--Used as an order to indicate, "Stop," "turn off," "cease" etc. Say Again--Repeat your last transmission. Verify--Check coding, check text (subject matter) with the originator and send correct version. Wait--If used by itself: "I must pause for a few seconds." If the pause is to be longer than a few seconds, "Wait--out" should be used. If "Wait" is used to prevent another station's transmitting, it must be followed by the ending "Out." Wilco--I have received and understand your last order and "will comply." Wrong--What you have said is incorrect. The Correct version is ----------. Example: If a pilot has been ordered to "vector one-seven-zero" but wilco-d for a vector of two-seven-zero, the transmission would be: "Mohawk One, this is Mohawk, wrong, vector one-seven-zero. Over." Cockerel--IFF Mark III (cockerel "Crows" and is heard not seen). Cockerel George--IFF Mark III, "G" Band (manual switch). Cockerel George Please--Press IFF Mark III "G" band auto button. Crowing--Showing IFF Mark III ("crowing" is "heard" not "seen"). Crowing One to Crowing Six--Showing IFF Mark III, with code 1 to 6. Crowing Mayday--Showing IFF Mark III, emergency code. Check Contacts--Check the designated contact for purposes of identification. Hayrake--Radio Homing Beacon (YE, YG, etc.). Examples: (1) "Mohawk, this is Mohawk One, is Hayrake sweet. Over." Meaning "Is the radio homing beacon operating efficiently" (2) "Hello Mohawk, this is Mohawk One, Hayrake says sugar. Over." Meaning pilot is picking up letter "S" from YG (YE). Lights--Identify yourselves now by visual means (not to be used to refer to IFF). Example : If a search plane were approaching your base, and he was sighted but not identified visually, he could be told: "Hello Sleepless Eight, this is Limbo, lights. Over." The search plane would then make the recognition maneuver, fire his recognition cartridges, etc., as required. Mother--Radar homing beacon. Example: (1) "Mohawk, this is Mohawk One, is Mother sweet? Over." Meaning "Is the radar homing beacon operating efficiently?" (2) "Hello, Mohawk, this is Mohawk One. Touch on Mother. Over." Meaning that the pilot has picked up the radar homing beacon. Expedite--As fast as possible, or "hurry up." Example: "Mohawk One, this is Mohawk. Expedite angels twenty-two. Over." Salvoes--Am about to open fire. Keep clear. 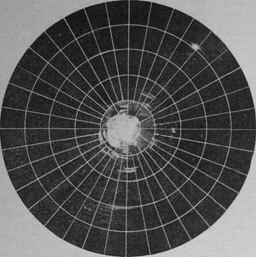 Magnetic bearing may be indicated. Salvoes Proximity--Am about to open tire with VT fused shells. Keep clear and use especial caution. Magnetic bearing may be indicated. Heads Up--Enemy got through. Followed by a number to indicate how many. Example: "Mohawk, this is Mohawk One. Heads up--six fish. Over." Scramble--Take off as quickly as possible. This transmission is usually followed by course and altitude instructions. Hey Rube--Need support. Come to my assistance. Tallyho Pounce--I see the enemy aircraft and can get him before he reaches effective AA range. Tallyho Heads Up--I see the aircraft but am not able to intercept before he reaches AA range. Burst.--Am about to fire AA shells to burst at estimated altitude and direction of enemy. Danger--You are entering zone of fire from a designated battery or a battery at a designated geographical location. Example: "One, danger ABLE, Over." Meaning you are entering zone of fire of the battery designated as "Able." Clara--Radar scope is clear of contacts other than those known to be "friendly." Contact--An indication on a radar scope; I have an indication on my radar scope. Contact Lost--The indication on my radar has faded. Bent--Equipment indicated is inoperative or unserviceable. Souk--Equipment indicated is operating at reduced efficiency. Sweet--Equipment indicated is operating efficiently. Strangle--Switch off equipment indicated. Example: "Mohawk One, Strangle Cockerel George, Over." Mugs--External fuel tanks carried on aircraft. Weapon--Air-borne Intercept Radar (AI) Air-Sea Rescue Transmissions. Ark--Air-borne lifeboat, may be followed by number to indicate number of survivors aboard. Bird Dog--Rescue ship other than submarine. Davy Jones--Survivor in sea without life jacket. Dumbo--Amphibious aircraft or seaplane for search and rescue. Evergreen--Dye marker showing in water. Goodyear--Liferaft; may be followed by number to indicate number of survivors aboard. Lifeguard--Rescue Submarine. Pluto--Land type aircraft for search and rescue. Yellow jacket--Survivor in the sea wearing life jacket. Weapon--Air-borne Intercept Radar (AI) Example: "One, switch your weapon, Out." Meaning, "switch on your AI radar." Punch--You should very soon be obtaining a "contact" on the aircraft that is being intercepted--Look sharp. "Punch" is considered to be an order. This word should be preceded by information as to the probable position of the target. Example: One, Bogey twelve o'clock, four, punch. Over." This word is used only with AI interceptions. Pilot acknowledges with "Punch. Out." Judy--Take over (or "am taking over") the interceptions. This word is used only with AI interceptions. No Joy--Cannot find raid allotted to me. This word is used primarily with AI interceptions.